A retiring national force chief has blasted a political leader for “contaminating” the process of selecting his potential successor. Northern Ireland’s top officer accused Sinn Fein president Mary Lou McDonald of "ill-judged, wrong and inaccurate" remarks in the incendiary row over who should be the province’s next chief constable. George Hamilton agued Mrs McDonald's controversial comments displayed poor leadership, claiming they ran directly contrary to Sinn Fein's professed advocacy of "integrity, fairness and equality". 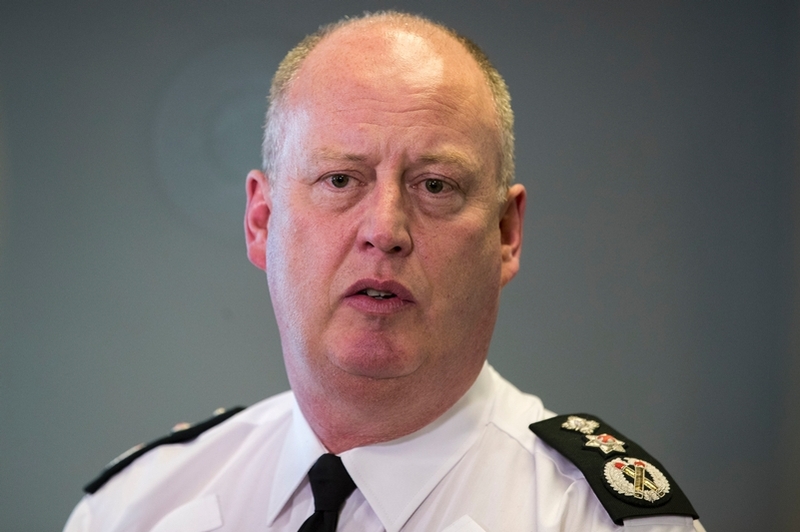 Citing direct “interference”, CC Hamilton said it was no “surprise” that the constant “undemocratic” criticisms directed at the force had resulted in “problems of confidence in policing” in Northern Ireland. Last week, Mrs McDonald said she did not have confidence in any of the current senior PSNI command team to replace the chief constable when he leaves in the summer. Mr Hamilton suggested Mrs McDonald had "contaminated" and "interfered" with the selection process. The Sinn Fein leader's remarks came after she met bereaved families caught up in a controversy involving the PSNI's failure to disclose documents about historical killings to Northern Ireland's Police Ombudsman. "I think Mary Lou McDonald was wrong," said Mr Hamilton. "I think she was inaccurate and I think it was an act of poor leadership and it has a very detrimental impact on policing and on the peace we are all trying to build." He added: "I think it's got us into an unfortunate pickle, it would be far better if wiser words, more measured words had been used and words that did not contaminate or interfere with the selection process." The PSNI's oversight body – the Northern Ireland Policing Board – is responsible for appointing the chief constable. Ordinarily, a Sinn Fein appointee would be on a board panel – made up of party political and independent board members – that makes the decision. That practice has been thrown into doubt following Mrs McDonald's remarks, raising the prospect of a panel without Sinn Fein representation, or without any political appointees at all. During a meeting at Policing Board headquarters on Tuesday, the organisation's lawyers briefed members in private on their view on whether the comments had compromised the recruitment exercise. Mr Hamilton also discussed the issue with board members, though he was not shown the legal advice. Mrs McDonald has refused to apologise for, or retract, her comments. When asked if she should say sorry, Mr Hamilton insisted that was "a matter for her". "I don't anticipate for a second that we're going to get that," he said of an apology. "But, more important than any offence she caused internally, whenever someone in leadership stands up and talks about the police being undemocratic, about being cynical, and about all the other very negative terms, how could we not be but surprised if there is a problem with confidence in policing." He added: "I think the comments were the antithesis of all Sinn Fein say they stand for. "They say they stand for equality, for fairness, for integrity and I can't think of anything further away from those qualities in what the party president said." Mr Hamilton continued: "They were ill-judged words, she has to own them, it is not up to me to give account or explain or anything like that. “I have been quite clear and quite robust on why I think the comments were wrong, why I think they were an antithesis of all she says she stands for around integrity, fairness and equality." The original comments came during a press conference in Belfast during which Mrs McDonald claimed the PSNI had "zero credibility" in its handling of cases linked to the legacy of the Troubles. Mrs McDonald was asked if she had confidence in any of the current leadership team to replace Mr Hamilton. "No I don't," she replied. "The PSNI's credibility on matters pertaining to legacy is zero, I don't think that happened today or yesterday but I think certainly this turn of events has confirmed that." In response to a follow-up question on the same issue, the Sinn Fein leader added: "Is there somebody inside who I think should be the chief constable, and I have to answer honestly that no, I can't identify such a person. "Lots of this is about who leads, who is in the top job in policing, but it goes much more broad than that. This is an issue of the culture of policing, it's about the systems and it's about their capacity to be and to be held fully accountable." The Equality Commission has also been drawn into the debate over who should be next chief of the national force. The commission expressed its concerns over the Sinn Fein leader’s remarks, arguing a selection process to replace the retiring chief constable must be “free from political interference”. The commission has written to the policing board to "to remind it of its responsibilities under equality legislation to recruit in a non-discriminatory way". Mrs McDonald’s “wholly inappropriate and offensive” remarks brought a stinging attack and demands for an apology from PFNI chairman Mark Lindsay for the “extraordinary” intervention. He countered that if candidates “within the ranks” are ignored, it calls into question the “objectivity and credibility” of Sinn Fein representatives being involved in choosing a new chief. Earlier this month, it emerged that the PSNI failed to disclose "significant information" relating to a notorious loyalist mass shooting. Police Ombudsman for Northern Ireland Michael Maguire said "significant, sensitive information" around the incident at a bookmakers in south Belfast was not made available to his investigators. Five people were killed on February 5, 1992, when members of the loyalist Ulster Freedom Fighters opened fire on the Sean Graham bookmakers shop on the lower Ormeau Road. Dr Maguire's office said the non-disclosed material, which it has now obtained, has opened new lines of inquiry in its investigation into the Ormeau Road shootings, as well as activities of loyalist paramilitaries in the north west between 1988 and 1994, and its probe into the murder of teenager Damien Walsh at a coal depot in west Belfast in 1993. The PSNI has apologised and said it never sought to withhold the information from the ombudsman investigators, putting the incident down to human error.